While not the most glamorous subject on the battlefield, where there are thirsty combat aircraft and vehicles, there must also be refuelling vehicles to keep these combatants running. 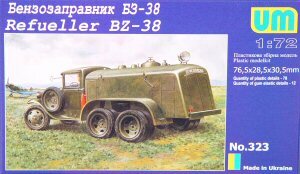 In the case of the VVS (Soviet Air Force), development of this vehicle started in 1938 on the chassis of the GAZ truck. The vehicle was fitted with a 1350 liter fuel tank, and with pump and hoses stowed in the rear compartment. 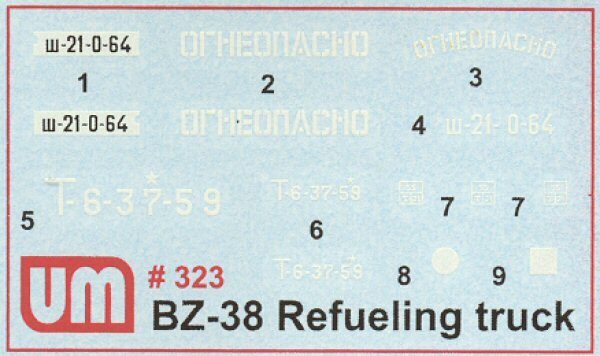 This would be the typical refueller for fighters, scouts and smaller utility aircraft, as bombers, large transports, etc., required larger fuel loads than the BZ-38 could carry. 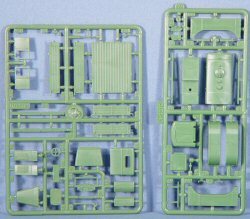 The kit is molded in meduim green styrene and presented on four small trees of parts. The first tree contains the majority of the GAZ truck cab and unused truck bed, the second tree contains the fuel tank and locker, the third tree has the GAZ truck chassis, while the last tree contain the suspension and wheels. Assembly of the kit appears to be straightforward with the chassis and drive train leading off the effort. The design of the vehicle is interesting as it powers the two rear axles, turning eight wheels. The ten-wheel design kept the weight footprint of the vehicle relatively low so it could operate on unpaved surfaces without sinking up to the wheel hubs. Markings are provided for two examples to provide a typical look and feel for early war VVS fighter bases. 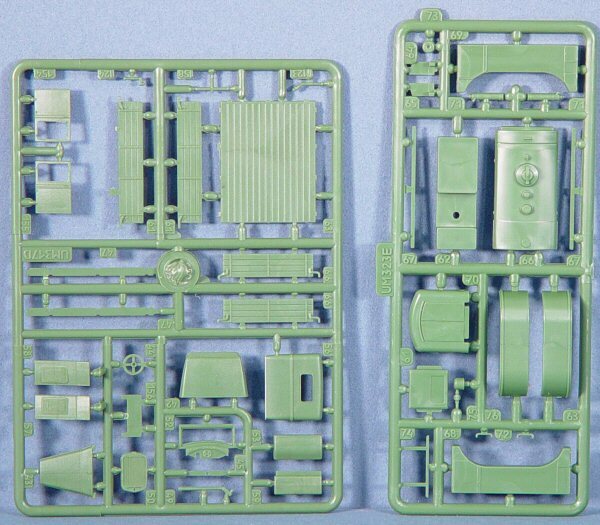 This is a nice looking model that will look great parked next to your 1/72 Yak or MiG fighter. You can get this kit from your favorite hobby retailer or directly from Squadron Mail Order. My sincere thanks to Squadron Mail Order for this review sample!